After I don’t know how many years of not owning this record, I finally got a hold of a copy of the first (?) ever folk metal record from British heroes Skyclad. ‘The Wayward Sons of Mother Earth’ is a genre defining and iconic record, and may have never been bettered by the hundreds of bands it spawned. I picked up the 2017 deluxe release, and after 18 years, does it still give the same chills? Simply, yes. ‘The Sky Beneath My Feet’ immediately buries itself deep into your memory, with the influences of their lineage from Sabbat and Satan coming through strongly. Ostensibly a British thrash record, what would germinate into folk metal begins to show face in the now famous ‘The Widdershins Jig’, but the galloping heavy metal of ‘Trance Dance (A Dreamtime Walkabout)’ burns with Martin Walkyier’s snarl. Even if it hadn’t birthed folk metal, Skyclad would have at minimum added another classic to the uneven lineage of British thrash. The killer ‘Our Dying Island’ is my favourite, but it is pushed very close by ‘Cradle Will Fall’. ‘The Widdershins Jig’ is the iconic folk metal seed, but as much credit can go to ‘Moongleam and Meadowsweet’ as well for its acoustic folk laden melodies. 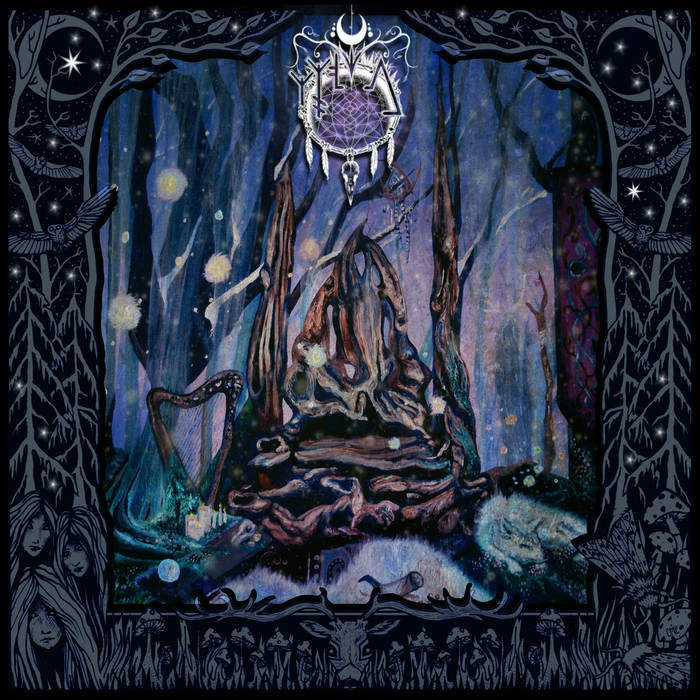 On the face of it, the actual ‘folk metal’ credentials of ‘Wayward Sons of Mother Earth’ are mostly limited to the one or two songs, the cover and the legacy it began. The likes of ‘The Silent Whales of Lunar Sea’ and ‘Jonah’s Ark’ definitely embraced the folk more, but you would be a fool to discount what this record means. The source of an embryonic idea, but also one of the finest and quirkiest thrash records to escape from this isle. 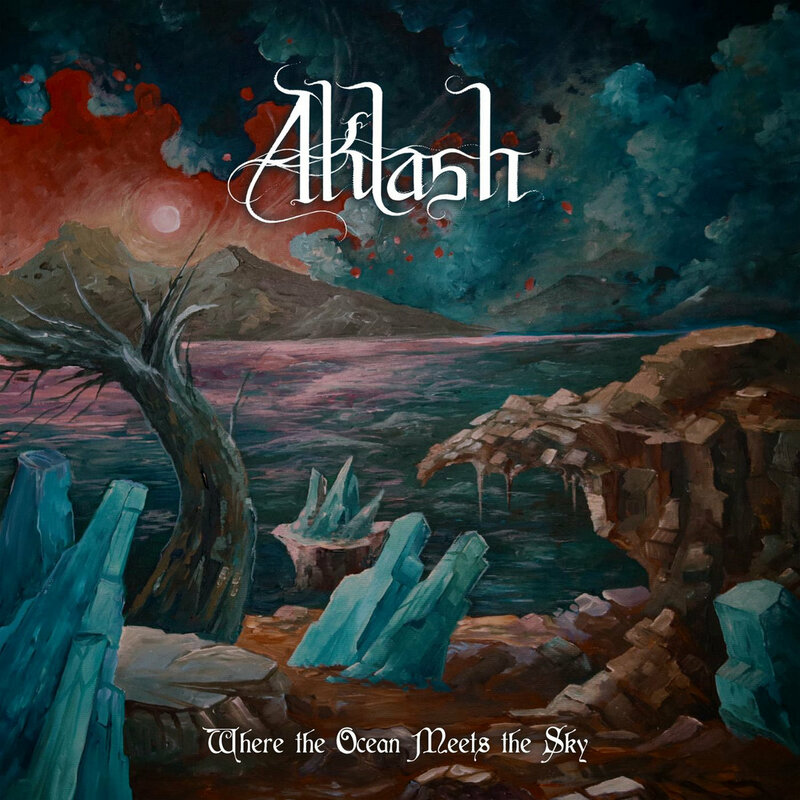 British black metallers Aklash approach their craft with a grandiose spirit and a lack of respect for the classic black and white aesthetic of the genre. Look at that album art, it’s a wonderful cavalcade of colour, that rather suits their broad palette of musical talent. ‘Where the Ocean Meets the Sky’ is out now through their Bandcamp. ‘Cascading Darkness’ pours from the speakers like a rush of icy water, riffs flowing between blastbeating rocks and overlaid with a misted haze of at once clean and then raw vocals. The deft switches between cleaner vocals and the more savage ones is well done, and feels natural. It gives the record a natural tinge of folk metal to it as well as black. There is a vast scope to the epic ‘All Noble Deeds Are Touched With Melancholy’, casting an ethereal mist upon a mid paced black metal odyssey that continues throughout the three part title track. There’s more than a dash of the psychedelic nature of The Meads of Asphodel in places that helps them stand out from the crowd too. That part three of the title track by the way; a defining take on the term tour de force. ‘Where the Ocean Meets the Sky’ is a wonderful record that has a really expansive take on black metal, and allows all facets of raw, atmospheric and sometimes a little weird come out to play. Harsh and uncompromising at times, delicate and introspective at others, Aklash are a complete package. Crawling for Carrion are a UK based sludge project, and their debut release is a two track EP made of covers. ‘Rake and Roads’ reintreprets ‘Rake’ by Townes Van Zandt and ‘Roads’ by Portishead, attempting to draw out the innate heaviness of them both. It is out now through Giganto Records, owned by the brainchild behind this project, multi-instrumentalist Chris West. Now, these are two songs I have never heard, so I’m interested in what Crawling for Carrion do here. ‘Rake’ is a rumbling, soulful beast with a gravelly, crooning vocal performance from guest Jake Harding of Grave Lines. While not as heavy as I had anticipated, there is something really magical and uplifting about these poetic lyrics winding its way. The sinister layer of murk surrounding ‘Roads however feels much more in line with what you’d expect Portishead to sound like, slid through sludgy filters. Grinding riffs murmur under a ghostly performance by Vodun vocalist Chantal Brown, making this a very ethereal moment. I like how Crawling for Carrion have done these tracks, and how they’ve worked hard in not only reimagining the originals but adding enough to create something new and interesting. ‘Roads’ is the better of the two, but this is a fine little release that is worth looking out for. British sludge doom band Kurokuma are dropping a new EP called ‘Dope Rider’, based on a 1970s strip called Dope Rider in High Times magazine. That, sadly meant nothing to me, but after listening to this, I’m definitely going to check it out. I reviewed their last EP, ‘Advorsus’ here, and this is a good follow up. Part 1 is a rumbling slab of sludgey doom, with more than a touch of classic Godflesh nihilism. The vocals switch from a throaty roar to a raspy scream, while a massive Crowbar riff groans and grinds through the middle. It has the same dense, smothering feeling that ‘Advorsus’ had in spades, but there is an addition of an almost hypnotic, psychedelic drone to it as well. Relaying the tales of a skeletal stoner cowboy through the medium of hazy, riff powered doom is probably the most apt meeting of minds in history. Part 2 is based on one of the original tales, and is a great slab of sonic assault, lumbering through smoke filled canyons. 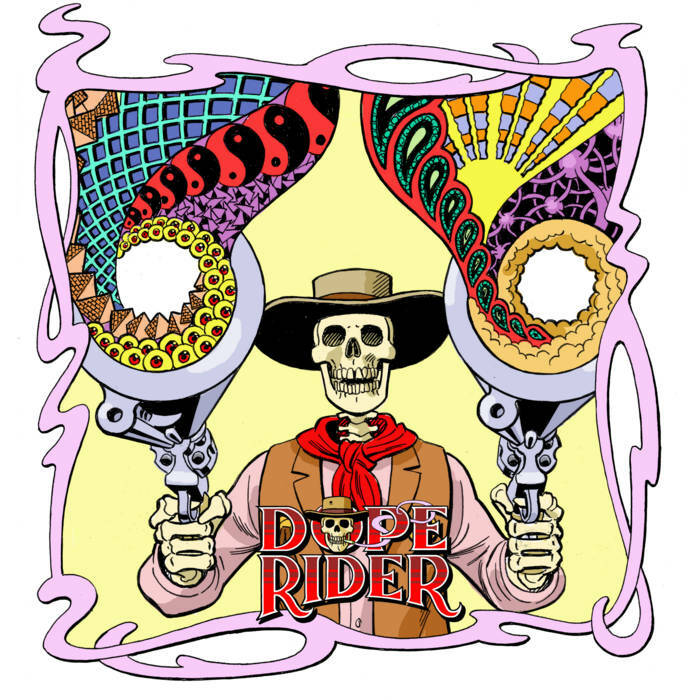 ‘Dope Rider’ is a great two track EP, and while I’d love to see this expanded into a full concept record, Kurokuma continue to build their reputation on the live circuit and give us just a taste of what is to come through these shorter releases. Get this now!